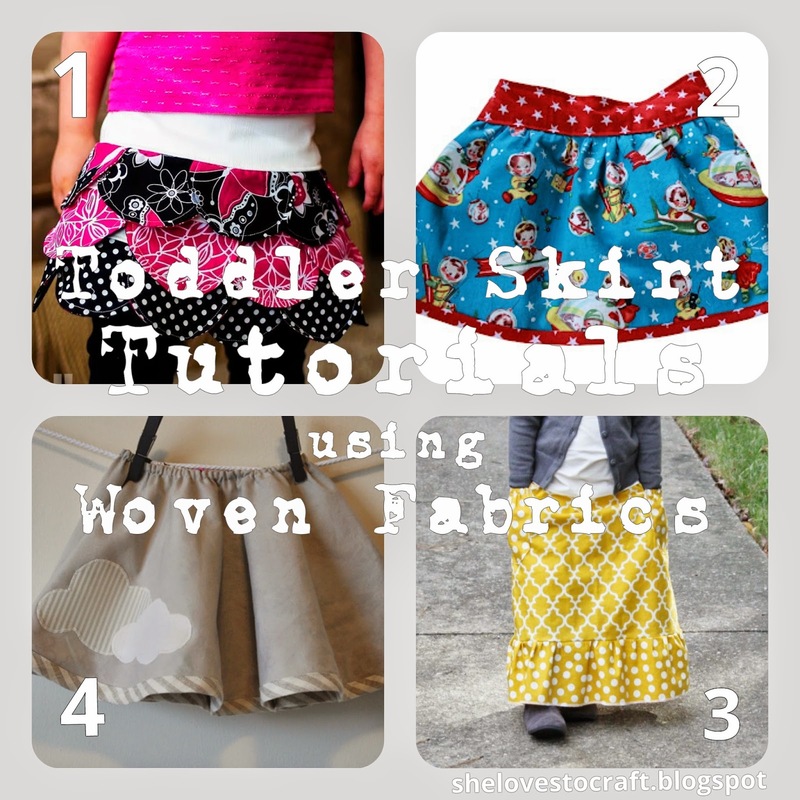 Recently, some moms in a DIY group on Facebook were asking for tutorials for little girls using woven fabrics, and I thought that it might be a good idea to put together some posts that include some of my favorites that I have found over the years. 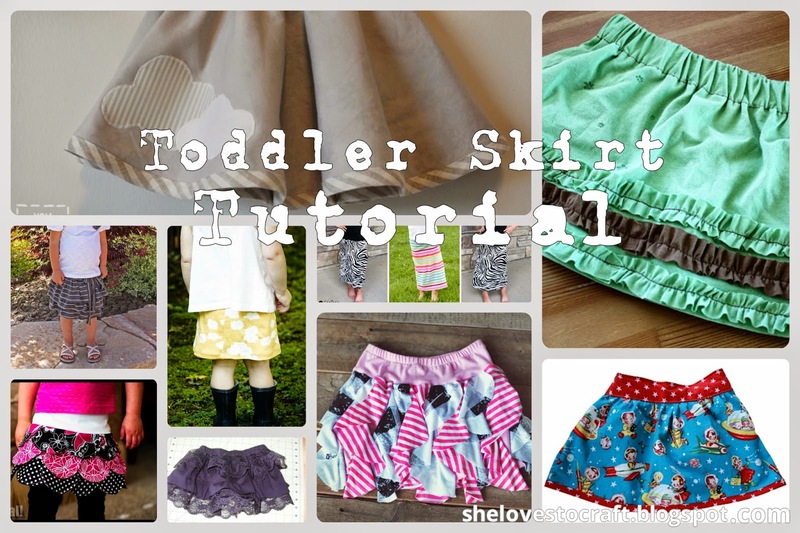 This post is all about skirts for your (or your sister's, or your bff's) toddler girls. 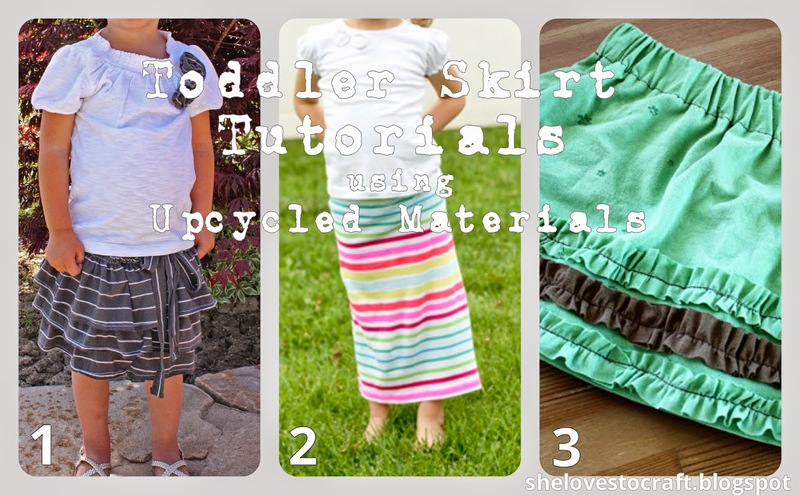 Below the jump (click read more) are a total of 11 great tutorials, divided up by material - wovens, knits, and upcycled. Enjoy! 1. 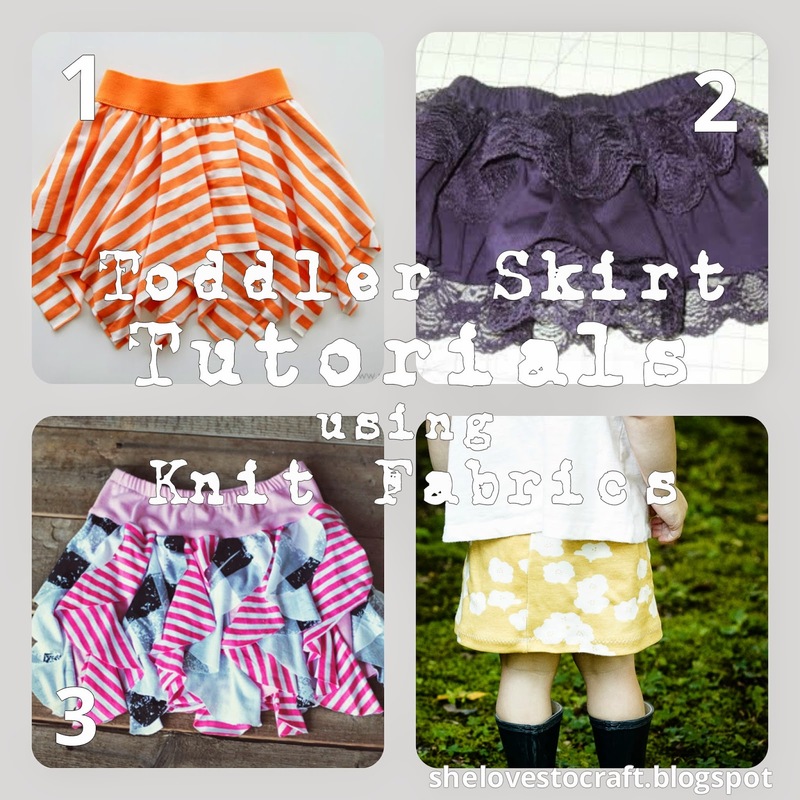 Toddler Sized Petal Skirt @ Craftastical! Stay tuned for more posts, including baby and boy clothing!